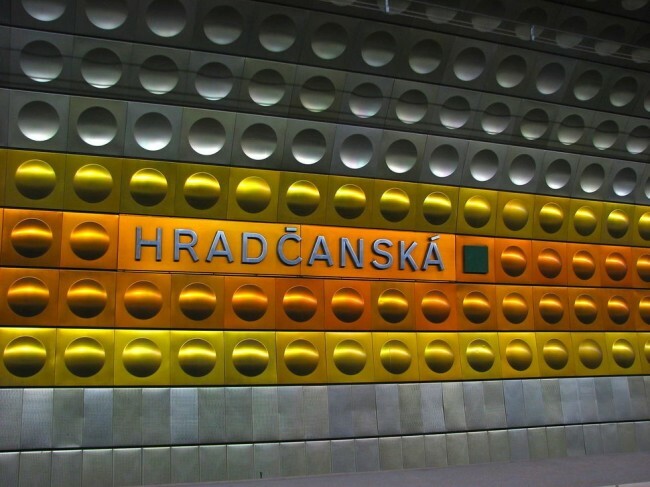 The Prague metro system’s design transcends the circumstances of its making, yet still provides a rich architecture of memory. Prague’s trams are its mechanised flaneurs; their scenic routes criss-cross the city in a dense meshwork that makes them a prominent feature of street-life in the Bohemian capital. For those leisured travellers with time on their hands there is no better way to ride the city. 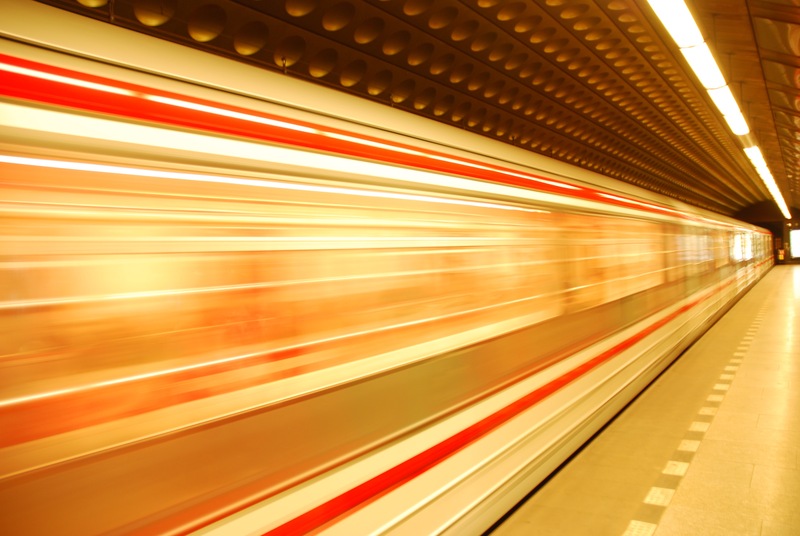 However, for those of us whose schedules and planning skills mean that we live more like futurists than flaneurs, getting there on time often means going underground. 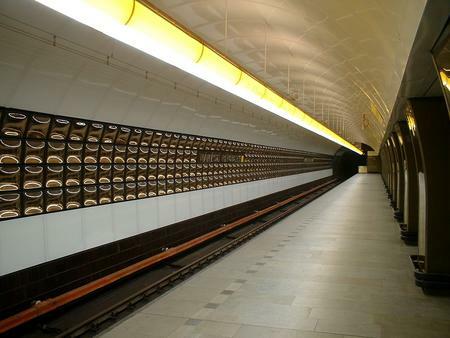 Hidden beneath Prague’s richly layered material histories, the subway system, with its 61 stations and 65km of tracks is the 7th busiest in Europe, carrying more than 1.5 million passengers every day. 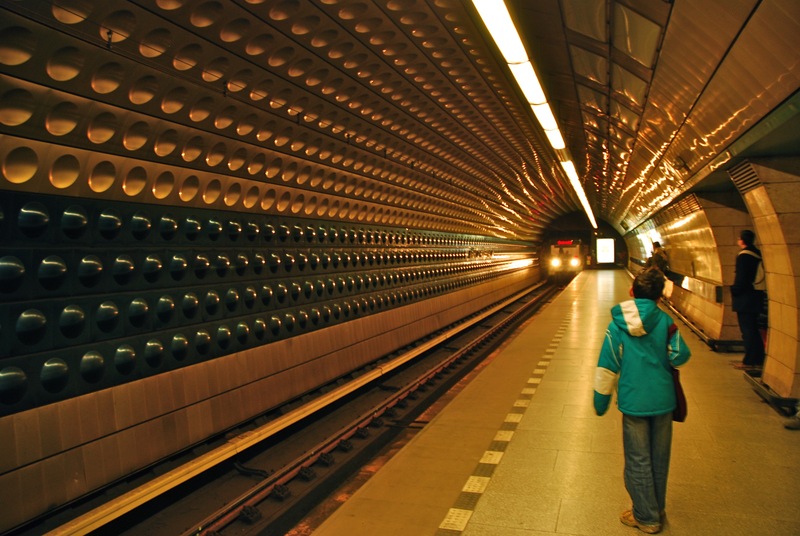 This adds up to nearly 600m passenger rides per year: more in absolute terms than on either the Vienna or Berlin U-Bahns and, given Prague’s relatively low (1.25m) population, this makes it the best used metro system on the continent in per-capita terms. 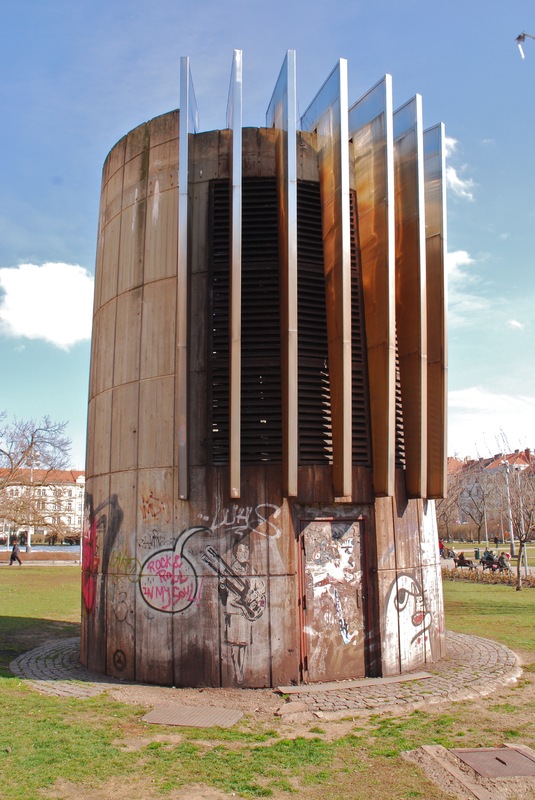 Begun and primarily built during the communist period, this massive public infrastructure project became one of the flagship projects of ‘Normalisation’ – the clamping-down on the public sphere that followed the crushing of the Prague Spring. 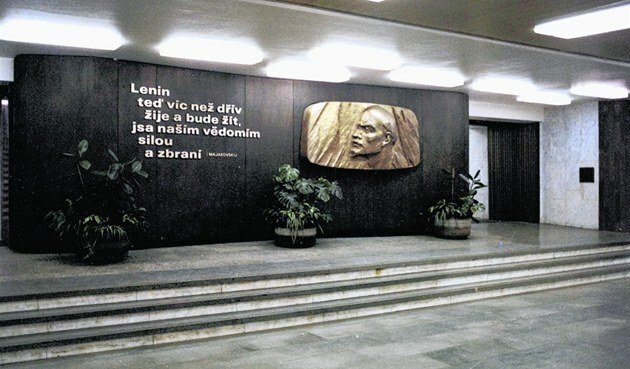 The precarious Husák regime that sought to build socialism without a human face attempted to offset the loss of public-political possibilty by boosting material conditions. Increased consumption and enhanced infrastructure represented the politics of meagre promise, laced with threat. Keen to show that ideology was no impediment to innovation, the regime invested heavily into architecture, prompting a flurry of public building. 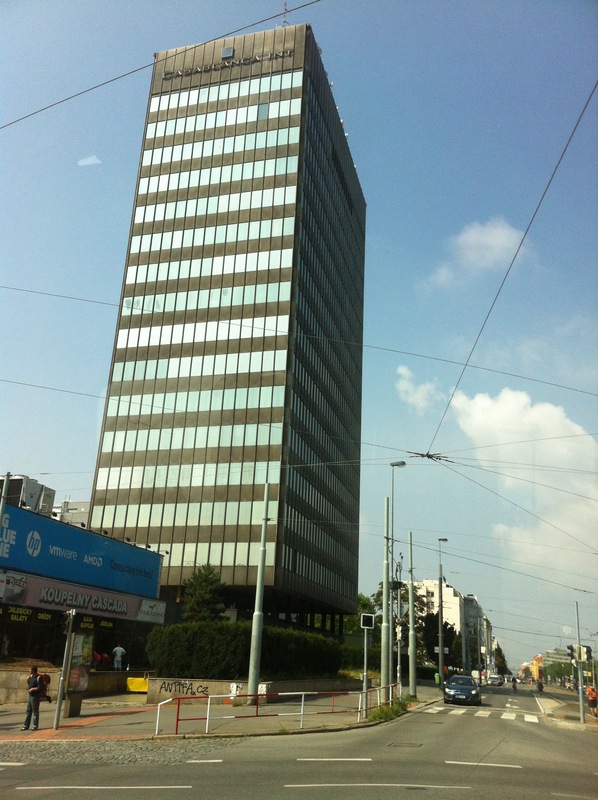 Brutalist shopping centres and high-modernist office buildings proliferated. 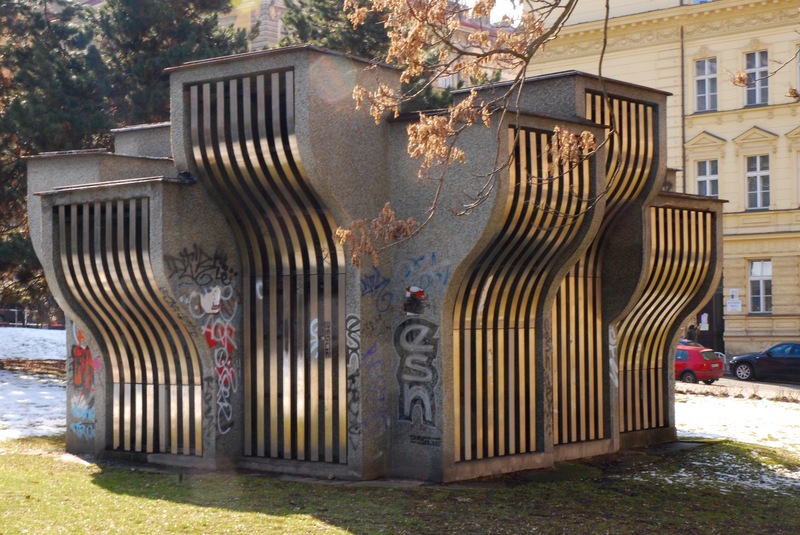 Despite the popularity of these styles in the West, in Prague they continue to be associated with a distinct and ill-remembered, politically periodisable vision of how the future used to look. 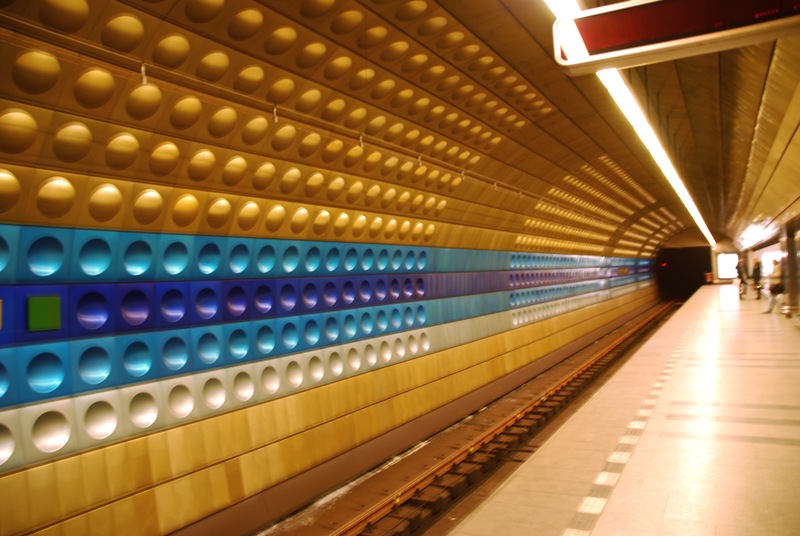 The tighter Soviet embrace of Czechoslovakia brought new technology and resources to bear on large infrastructure projects and it was with Russian help that a plan to take the tram underground was abandoned in favour of a building a proper subway system. 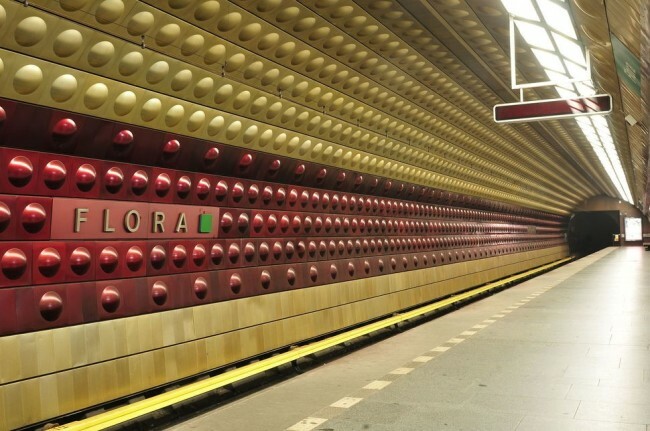 This intervention allowed Prague to realise one of its recurring 20th century dreams and become a genuine metro-polis, but like its overground counterparts it was realised in a style that became synonymous with the oppressive regime of the time. 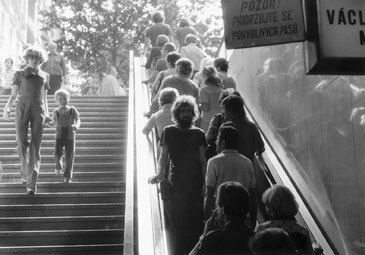 However, the metro system also provided the stage for one of Czech political performance art’s most famous actions: “on an escalator … turning around, I look into the eyes of the person standing behind me.” Jiří Kovanda’s attempt to provoke connections amidst atomisation and anomie was typical of attempts at low-key defiance of Normalisation’s numbing conformity. Like Havel’s contemporaneous Power of the Powerless, it suggested the fragility of the seemingly implacable post-totalitarian façade and the role that people would need to play to exploit its cracks. 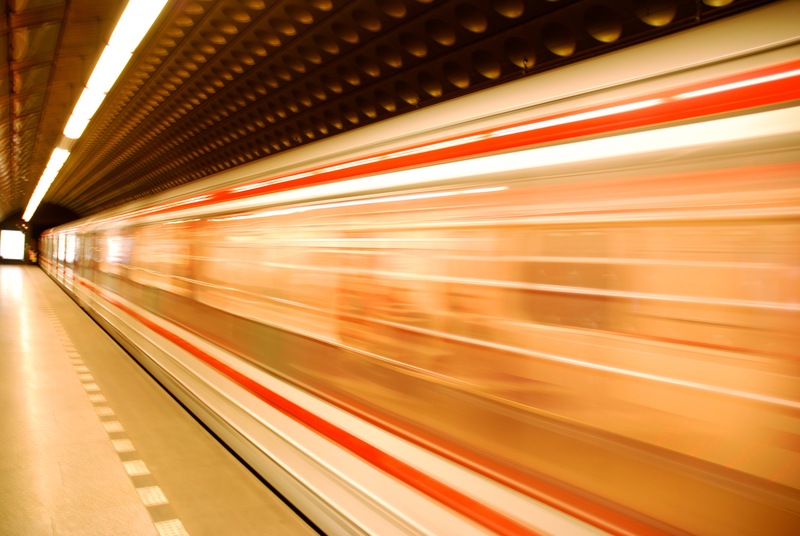 After the revolution of 1989 many stations were renamed as the metro system shed its party nomenclature to become a velvet underground. 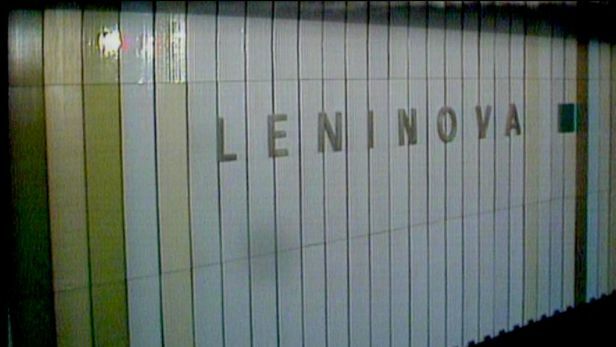 Moskevská (Moscow station) became Anděl (Angel), while other socialist shibboleths were swapped for prosaic descriptions of location: Budovatelu (Builders [of the future]) became Chodov; Leninová became Dejvická, Kosomonatů became Háje, Družby (Friendship) became Opatov; more proudly, Gottwaldová (named for the first Czech Communist premier, Klement Gottwald) became Vyšehrad, the high castle that is a sacred site for Czech nationhood. Descending from the square at Náměstí Míru, with its art nouveau town houses and pitch-perfect neo-gothic church, toward the vanishing point of one of Europe’s longest escalators (87m length, 43m drop), is to allow oneself to be transported into a gleaming futuristic grotto. 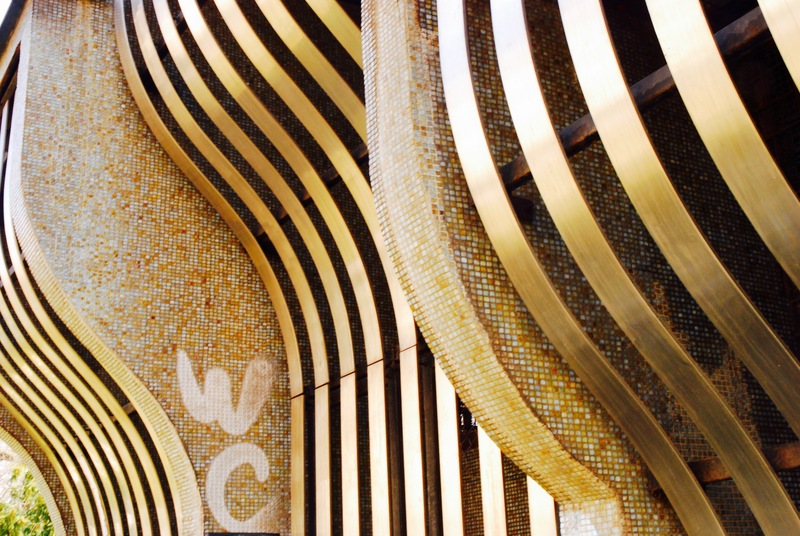 Filtered between thick set rectangular pillars, elegant in chrome and marble, passengers are greeted by the colourful, curving surfaces of the tunnel walls. 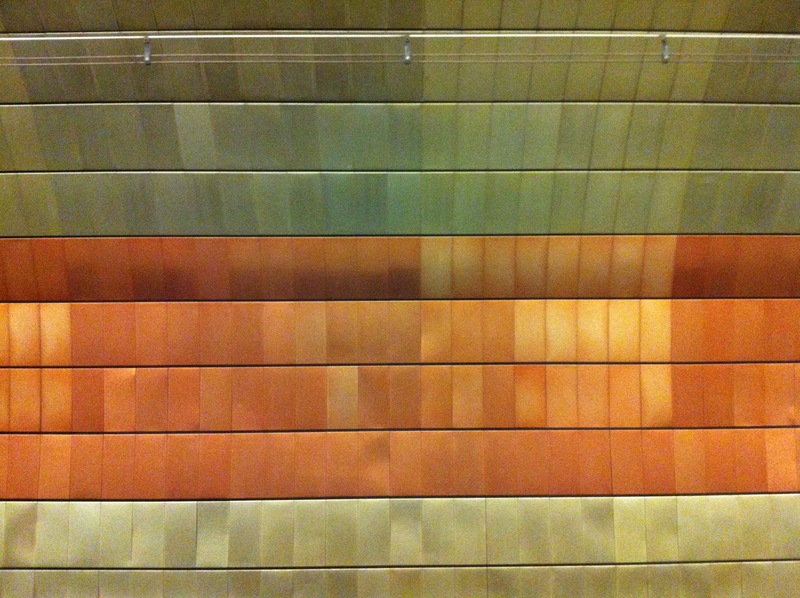 Coloured rows of anodised aluminium tiles – silver, aquamarine, royal blue, aquamarine and amber-gold, provide a wonderful horizontal articulation and a dynamic modernist sheen. Concave and convex indentations and protrusions in the tiles prevent heat warping, but also enhance the tension between motion and stillness that encapsulates the role of the station – a node in a fast moving network. 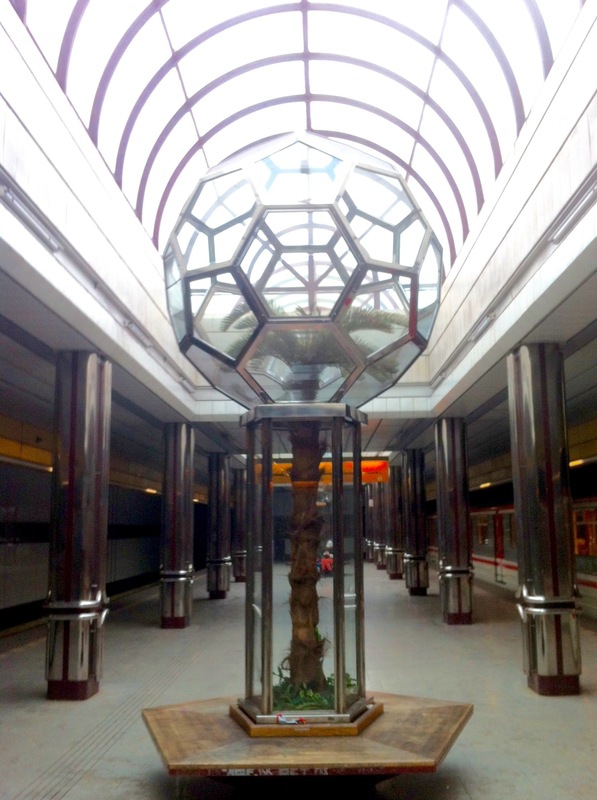 The decor benignly (dis)orients passengers and helps immerse them in metroland as they are transported. The majority of the stations on the Green ‘A’ line follow a similar pattern, distinguished by colour and the re-combination of modular components. The other lines have their own design identity. 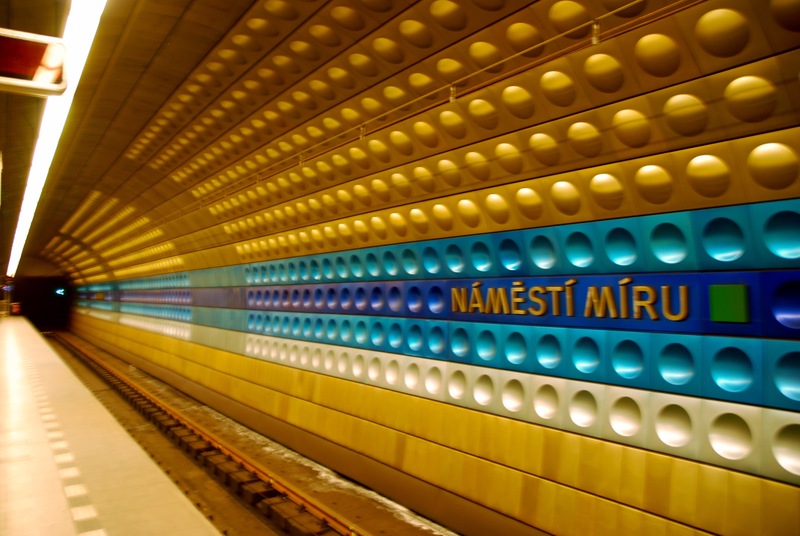 The Yellow ‘B’ line makes great use of reflecting and refracting surfaces, particularly visible in the chrome ‘lenses’ at Náměstí Republiky, the curved glass tiles at Jinonice and the . The Red ‘C’ line is plainer and was designed to provide a smooth transition from overground to underground, generally employing wide central platforms and high ceilings. 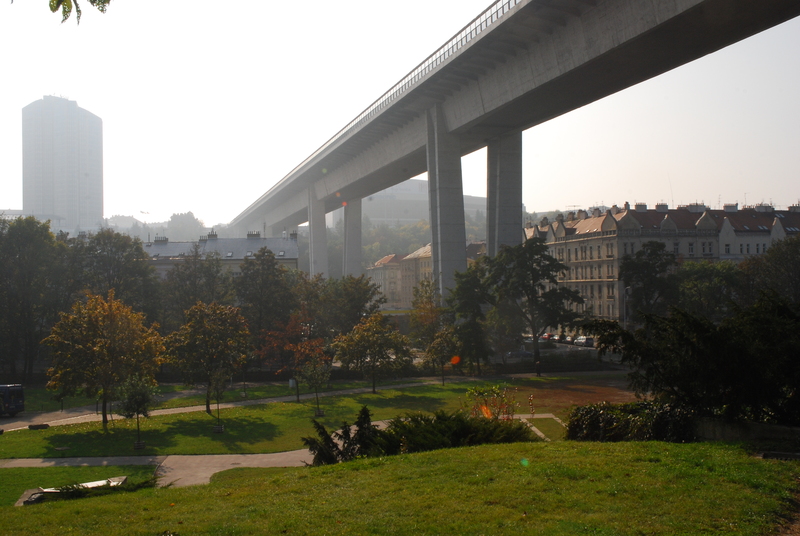 An exception is the dual-platformed, glass-walled Vyšehrad station from which trains are dispatched over a valley, encased in the belly of the Nusle bridge’s elegantly soaring concrete. 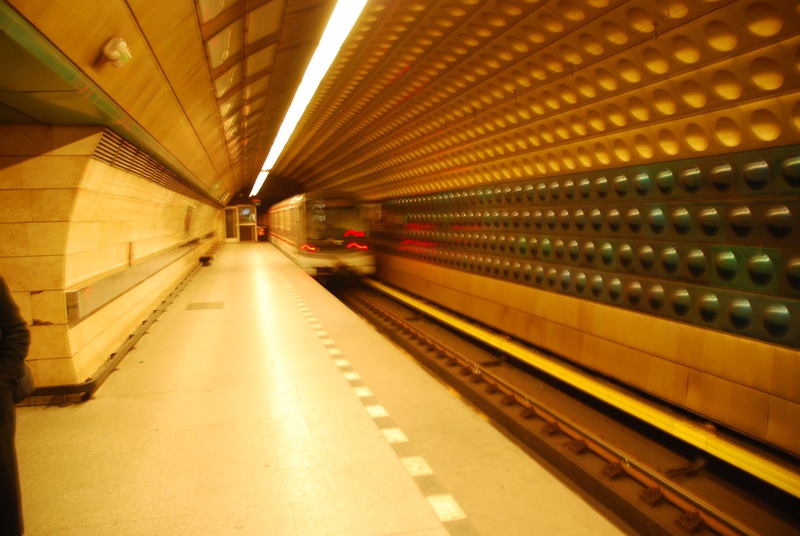 The newer stations tend to be somewhat blander, although the elegant curves of Střížkov and Nemocnice Motol merit some attention. 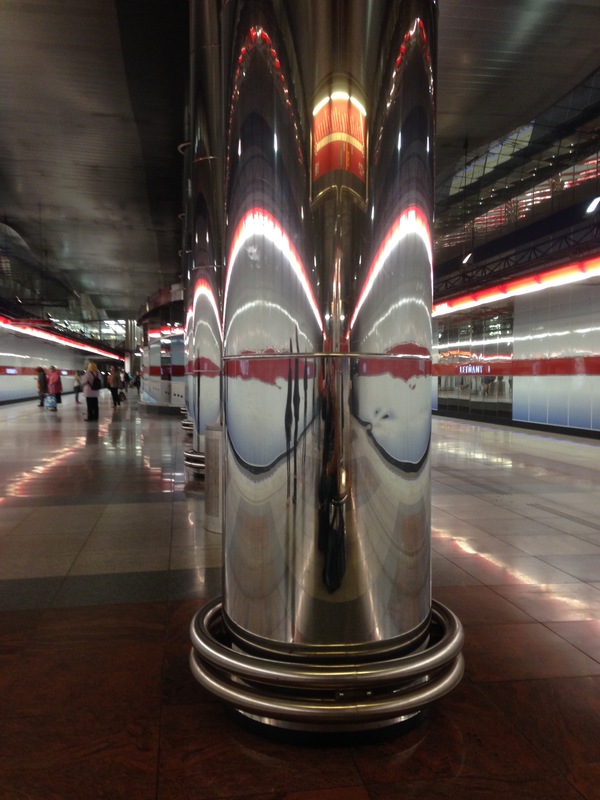 The stunning effects as coloured light plays on the chrome columns of Letňany’s platform space are in marked contrast to the rest of the station and its surroundings. 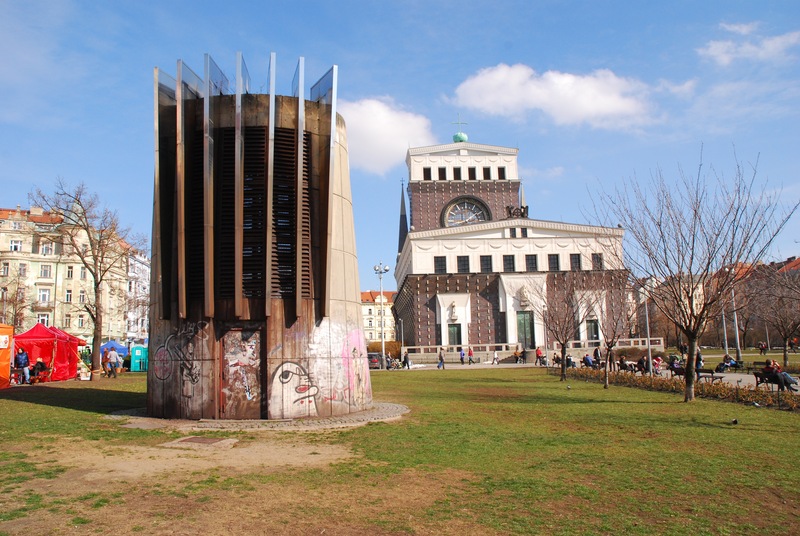 Returning overground, Jože Plečnik’s famous Church of the Holy Heart (1929) dominates the square at Jiřího z Poděbrad. 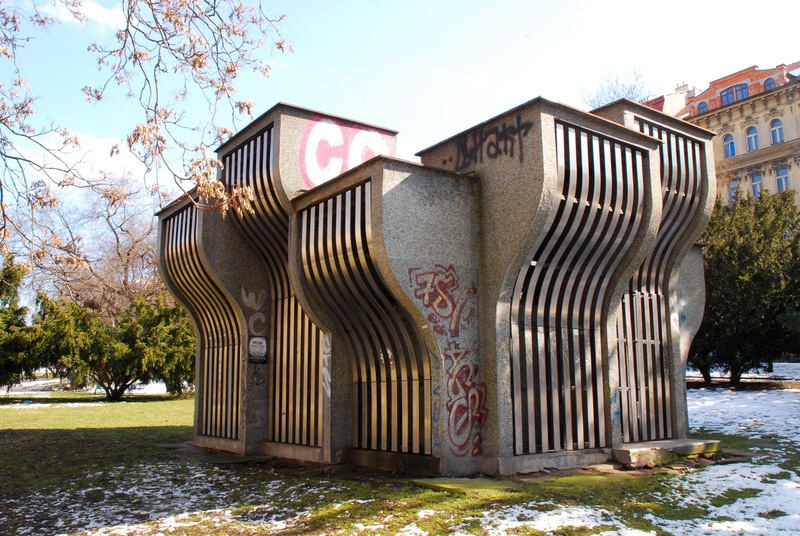 In front of the church stands an unusual structure – a distorted, tiled concrete cylinder, leaning and tapering before being opened and crowned by a series of chrome verticals, supporting what look like rusting venetian blinds. 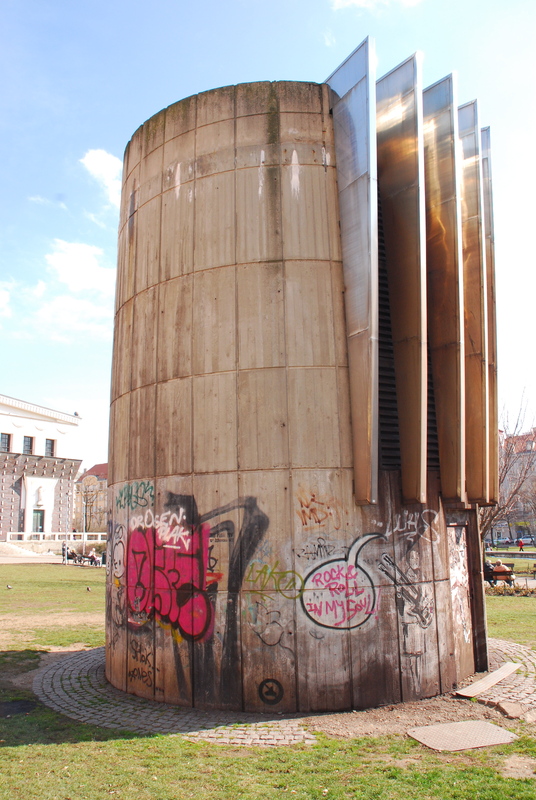 Around the corner, in the Svatopluk Čech gardens, another anomaly faces the monument to the 19th century Czech poet. 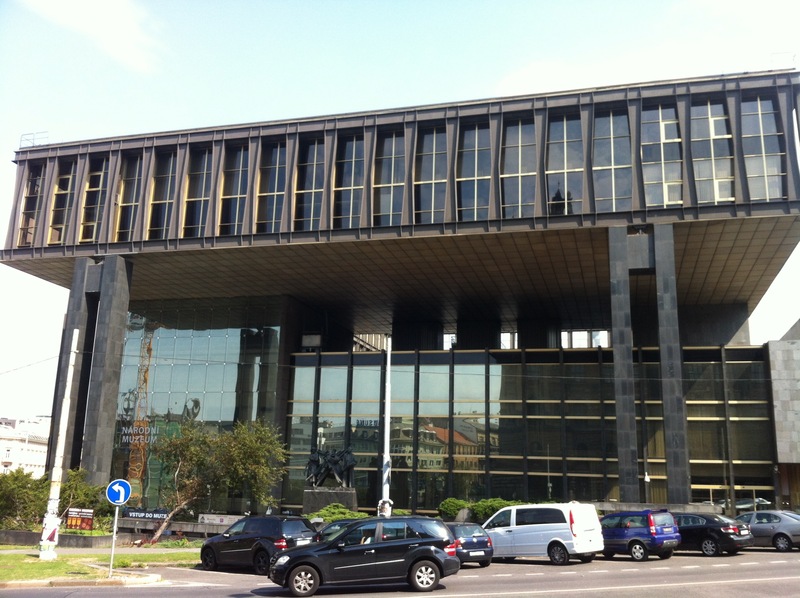 An outcrop of angular, mosaic-tiled, micro towers, reaching, striving to their different flat-topped heights with the aid of sweeping, curvilinear chrome frontage, looking like something scalped from the head of a brutalist medusa. 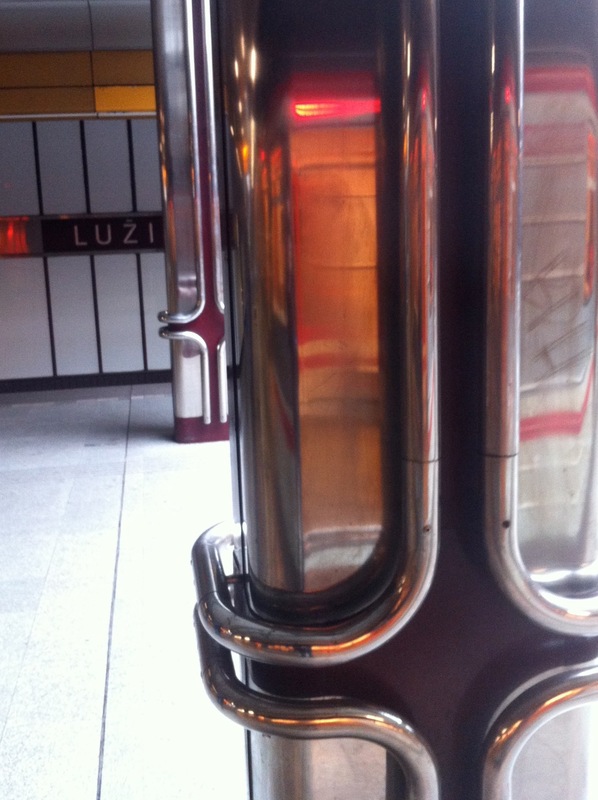 Resolutely functional, yet formed with the sculptural and material qualities of the best public art, these structures are just two of the many air vents that serve the Prague metro. They appear in sometimes-unlikely parts of the city and provide reminders of what lies beneath. These quiet monuments provide material-mnemonic links between the concrete estates of the periphery and the affably pretty inner suburbs and speak of the revenant presence of the past, even as their design transcends the conditions of their production. 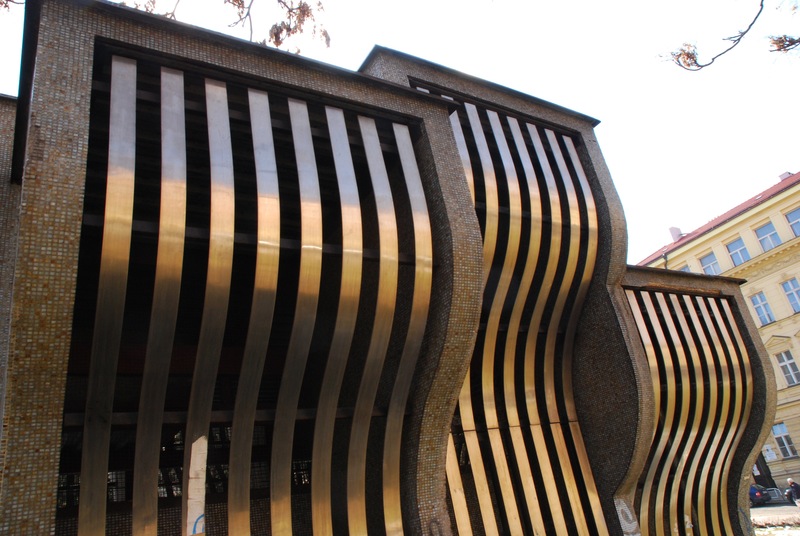 The best of Prague’s metro stations are gloriously encapsulated event architecture, while the air-vents often provide incongruously quotidian counterpoints that draw out the best in their surroundings. The now velvet underground and its above-ground eruptions are essential parts of Prague’s palimpsestuous psychogeography that disrupt all-too coherent narratives that oversimplify the recent past. Known locally as ‘breasts’ (prsy) and ‘anti-breasts’ (anti-prsy). A version of this piece was originally published in The Modernist, Issue 8 – ‘Carried Away’ in 2013.